A shift to carbon is positioning biology as a process of synthesis in mainstream engineering. Silicon is quickly being replaced with carbon-based electronics, devices are being reduced down to nanometer scale, and further potential applications are being considered. While traditionally, engineers are trained by way of physics, chemistry, and mathematics, Nanoelectronics: Quantum Engineering of Low-Dimensional Nanoensembles establishes biology as an essential basic science for engineers to explore. Drawing heavily on published papers by the author, this research-driven text offers a complete review of nanoelectronic transport starting from quantum waves, to ohmic and ballistic conduction, and saturation-limited extreme nonequilibrium conditions. In addition, it highlights a new paradigm using non-equilibrium Arora’s Distribution Function (NEADF) and establishes this function as the starting point (from band theory to equilibrium to extreme nonequilibrium carrier statistics). 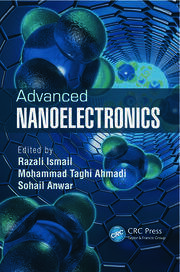 The author focuses on nano-electronic device design and development, including carbon-based devices, and provides you with a vantage point for the global outlook on the future of nanoelectronics devices and ULSI. Nanoelectronics: Quantum Engineering of Low-Dimensional Nanoensembles contains the latest research in nanoelectronics, identifies problems and other factors to consider when it comes to nanolayer design and application, and ponders future trends. Professor Arora, noted international educator and IEEE-EDS Distinguished Lecturer, obtained his Ph.D from the University of Colorado. He has held distinguished appointments at the University of Tokyo, National University of Singapore, Nanyang Technological University, University of Western Australia, and Universiti Teknologi Malaysia. His publications include more than 100 papers in reputed journals and many uncounted publications in conference proceedings. Professor Arora serves on the editorial board of a number of journals. 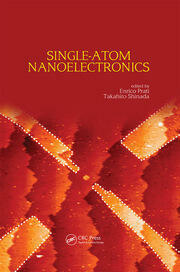 He was chair of Nano Singapore 2006, Nanotech Malaysia 2010, and Escience Nano 2012 conferences. "I expect Nanoelectronics: Quantum Engineering of Low-Dimensional Nanoensembles will become a favorite of many students, instructors, and more important future purveyors and custodians of nanoelectronics. 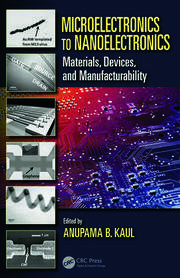 Professor Arora’s book… plugs the void left by novel expensive computational methods…[and] challenges brilliant, maverick minds, determined to study what they find interesting no matter where they find it…"
"This textbook is ideal for students wishing to gain a firm grasp of the core ideas in modern nanoelectronic devices. 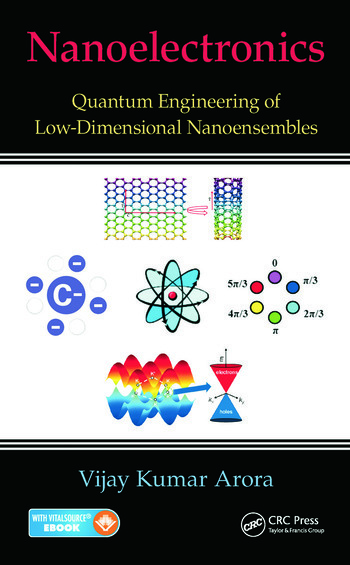 Building up from atoms to bands and carrier statistics, this textbook leads on to the study of transport in quantum wells, carbon nanotubes and graphene. Specific issues with short channel devices, high field transport and transport in nanotubes and graphene is particularly timely."